A few more shots from industrial Maspeth, in today’s post. There’s a section of Maspeth which one refers to as the “crane district,” which is distinct from the hammock district. 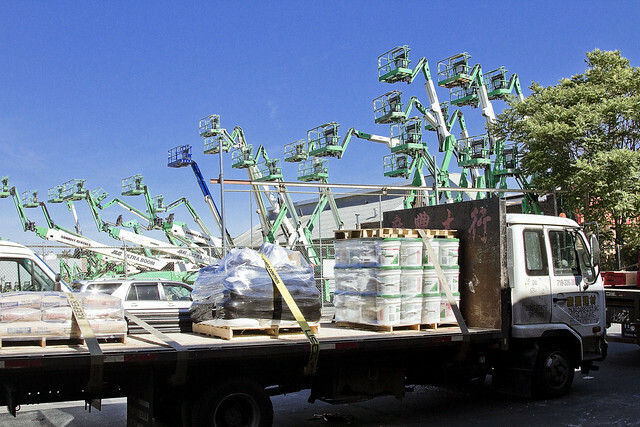 Actually, there no hammock district, just cranes. Whenever I’m waving the camera around at the sort of thing pictured above, I set it to a fairly narrow aperture and slightly overexpose the shot. The goal is to get a super saturated set of colors and to have every screw, lug, and rivet render in sharp relief. For those of you who have asked, that’s the difference between a snapshot and a photograph. The former is when you say “hey look at that” and the latter involves a visualized goal and thought process about how to achieve what you want the final product to look like. 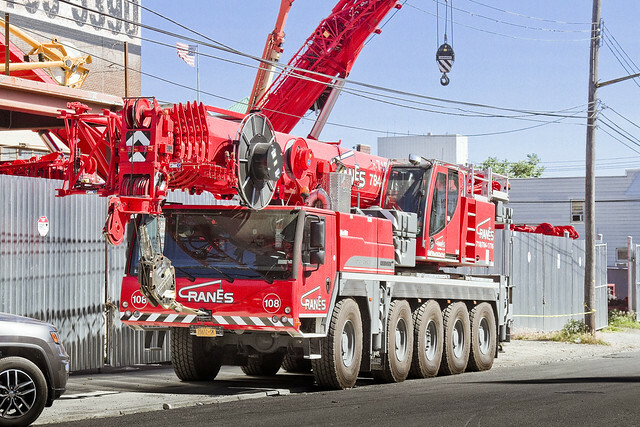 Ultimately, I wanted the crane truck to look a bit like a kids die cast metal toy. 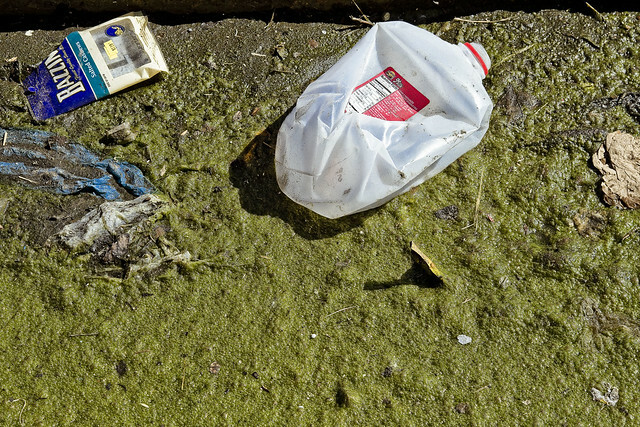 There is a stunning amount of litter in industrial Maspeth. A lot of it is quite dangerous, as in the case of the tempered glass windows I encountered that someone had the good sense to shatter when they were abandoning them. Illegal dumping is a city wide phenomena, but it seems that the industrial zones are particularly good places to abandon unwanted items. 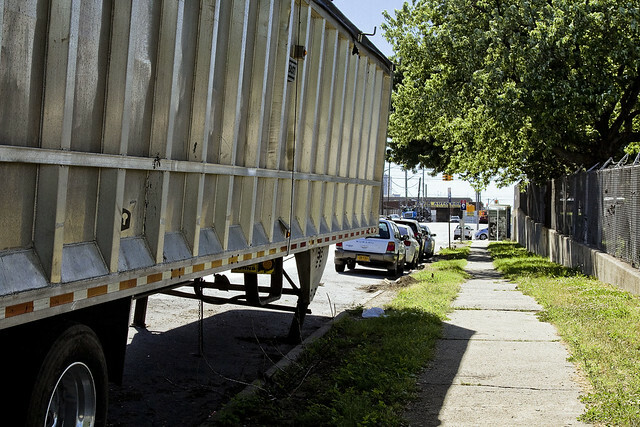 The comedy of it all is that Maspeth is the destination point for a significant amount of commercial and municipal waste by statute, and the folks handling said cargo are pretty responsible as far as how they handle the stuff. 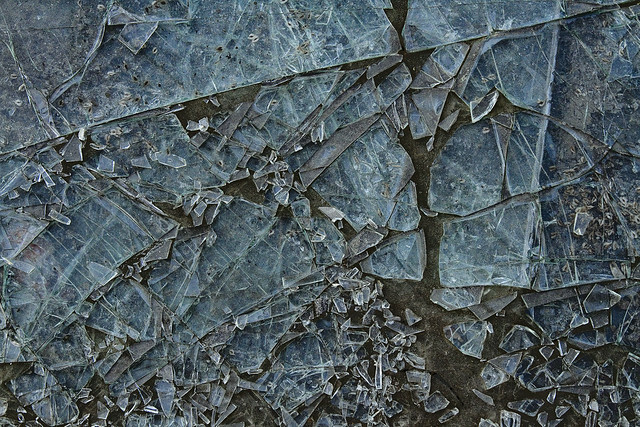 Saying that, there’s shattered and powderized glass everywhere you look around these parts. I’m hardly a saint in this category, but a humble narrator is the sort of fellow who pockets his personal waste products while moving around the great urban hive, carrying them until a proper receptacle is discovered. You don’t have to look too long, in my experience, before a municipal waste basket or a dumpster will appear. Others, it seems, are less patient than a humble narrator. I mean, you’ve just drank a half gallon of milk, why not just pitch the empty container to the curb? This is one of the many, many municipal solid waste trailers parked in the industrial zone around Newtown Creek (and elsewhere, if you’re anywhere near a sewer plant, you’ll see or scent them) that stink of sewer solids, which the (now) NYC Commissioner of the Department of Environmental Protection tells me I’m imagining. This particular one has been parked here in industrial Maspeth so long that the steel legs of the thing have begun to bend. All winter, I was commenting to myself (and I think I even mentioned it here, at your Newtown Pentacle, not long ago) that the abundance of “dead things” normally encountered around the Newtown Creek’s watershed districts had leveled off. 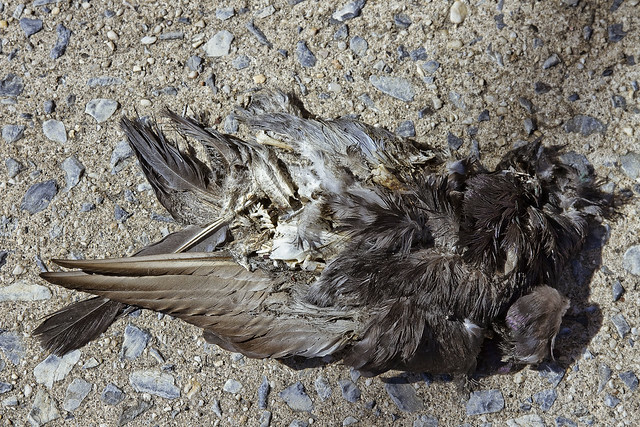 That trend has reversed in recent weeks, with an abundance of dead birds encountered on area streets. Anyway, that’s the sort of stuff you encounter in the crane district of industrial Maspeth, back tomorrow with something entirely different. Also, check out the tour offers below, they’re both being offered at special low rates. Greenpoint and the 520 Kingsland Green Roof this Friday, and a Skillman Avenue walk with Access Queens on Saturday the 30th.